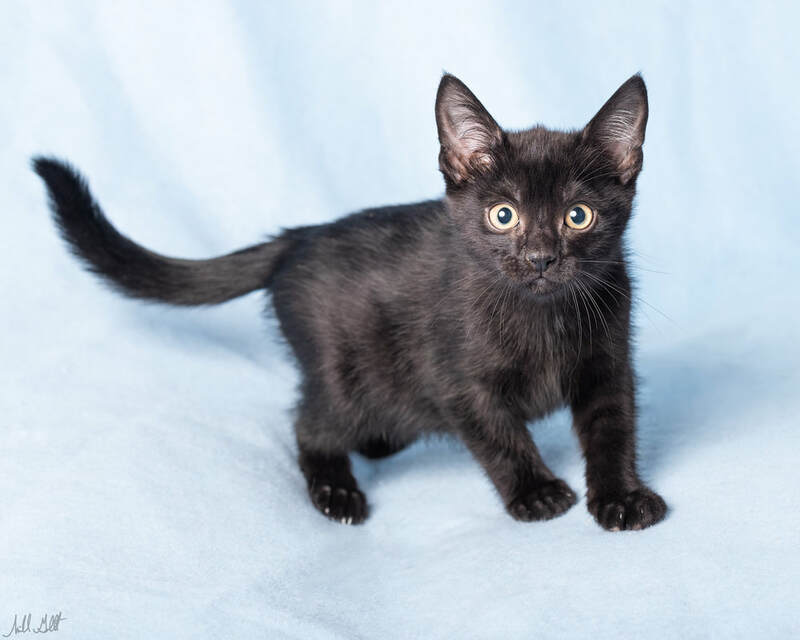 Azrael is a hilarious kitten, who is both full of beans, and super sweet. (As a kitten, we felt naming him after an angel of Destruction and Renewal was particularly fitting.) He's absolutely fearless, and will approach other cats, large breed dogs, and the underside of people's feet without hesitation. Azrael loves to play. And play. And play some more! He's usually in the lead for a 6 kitten game of chase me catch me; all over the house! If you need a little shake up from your sedentary days, Azrael will be happy to oblige!